If you love to listen to your favorite songs all the time then you must understand the importance of having a portable MP 3 player. It can prove to be your best buddy. However, any sort of technical glitch with the MP 3 player can really disturb you. In such a situation, you can avail of professional tech assistance to fix any problem on your MP 3 Player. 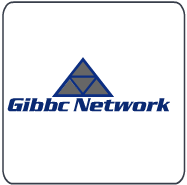 Call Gibbc Network Expert Technicians and get instant MP 3 support, round the clock. They can also customize your MP 3 Player software settings and install the latest versions of software available in the market. The technicians can also download iTunes, Windows Media Player, and other such software to enhance your multimedia experience. • Syncing your MP 3 Player with your computer. • Downloading music from the Internet and creating playlists. • Updating your MP 3 Player software. • Scanning for infections and corrupt files. • Transferring files from MP 3 Player to your computer, and vice versa. • Fixing compatibility issues of different file formats. • Formatting the storage memory. • Changing and restoring factory settings. So, call Gibbc Network and get the best multimedia experience with your MP 3 player.